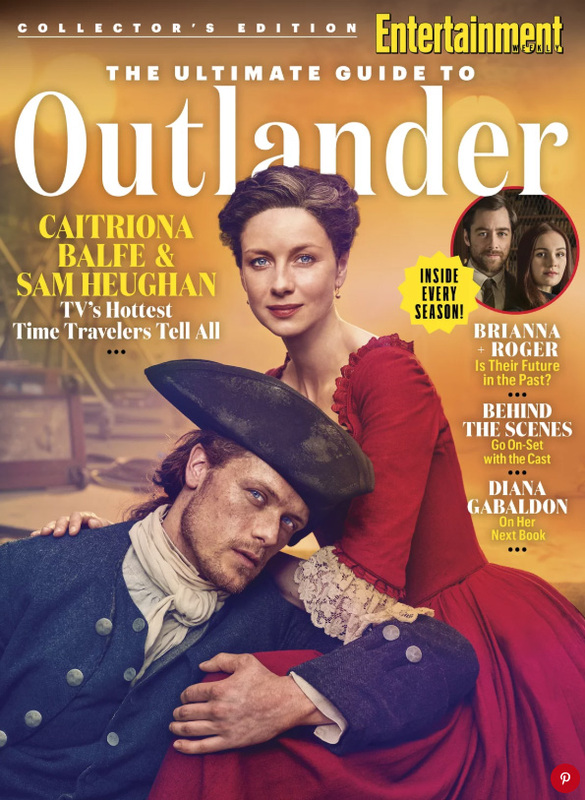 Entertainment Weekly has created a special collector’s edition all about Outlander and it is on newsstands now. I do not believe that subscribers get these special issues in the mail, but correct me if I am wrong. You will have to make your way to a drugstore, grocery store, or bookstore to grab an issue. Below is the photo of the cover of this issue, and below it is a video of Sam Heughan and Caitriona Balfe attempting to summarize Outlander in thirty seconds. This entry was posted in Caitriona Balfe, Interviews, Production Photos, Sam Heughan and tagged Caitriona Balfe, Entertainment Weekly, Interviews, Magazine Mentions, Sam Heughan, Season Four by Sarah Ksiazek. Bookmark the permalink.